If the food and food processing industry is where you play then Stainless Steel Hydraulic cylinders are worth considering. As you well know these applications require strict cleaning guidelines and harsh chemicals to do it which are usually corrosive and detrimental to the mild steel cylinders are usually built with. 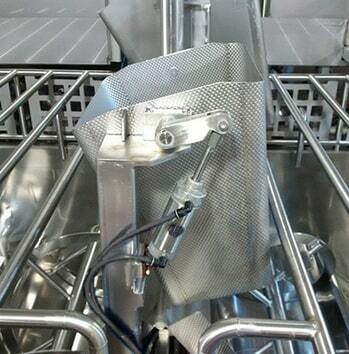 The food industry is indispensable which means equipment in these applications get heavy use. The durability of Stainless Steel is long proven. Typically the grades used are 303/304/316/17-4PH in the food industry components which are mainly made up of a mixture of nickel, steel, and chromium. Its strength lies in the steel and the heat treating used in the manufacturing process of the steel which gives it excellent tensile and yield while still allowing machinability needed for production. This means a long service life for your equipment and economic feasibility for your business. But truly the prime feature of stainless steel hydraulic cylinders is their rust resistance and the cleanability that results from this. The secret to the corrosion resistance is in the chromium content, and sometimes molybdenum content as well, of the metal creating an oxide film on the surface of the metal. Because of this armour and the non-porous nature of the Stainless Steele the only place that germs can linger is in the crevices and holes created during the machining process of the hydraulic cylinders. Our goal at Maverick is to minimize those places so the bleach and water or cleaning solutions can do their job effectively. 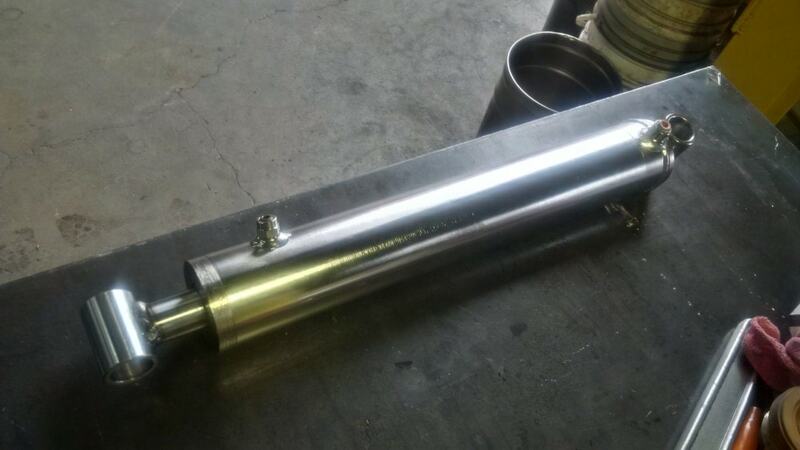 Other applications that use SS hydraulic cylinders like these are sewage and water treatment plants, risers for oil platforms and pipelines, heat exchangers for ships, coastal power generation plants, and marine equipment. Call us for friendly and knowledgeable service in any application that may need Stainless Steel Hydraulic components!